Can We Apply the Control Material from Standard Clinical Chemistry Analyzer for Usage in the Point of Care Testing Analyzer? Wiwanitkit, V. (2011). Can We Apply the Control Material from Standard Clinical Chemistry Analyzer for Usage in the Point of Care Testing Analyzer?. Iranian Journal of Pathology, 6(4), 229-229. Viroj Wiwanitkit. "Can We Apply the Control Material from Standard Clinical Chemistry Analyzer for Usage in the Point of Care Testing Analyzer?". 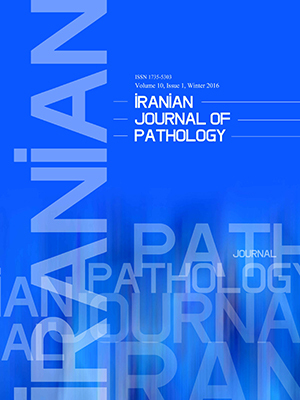 Iranian Journal of Pathology, 6, 4, 2011, 229-229. Wiwanitkit, V. (2011). 'Can We Apply the Control Material from Standard Clinical Chemistry Analyzer for Usage in the Point of Care Testing Analyzer? ', Iranian Journal of Pathology, 6(4), pp. 229-229. Wiwanitkit, V. Can We Apply the Control Material from Standard Clinical Chemistry Analyzer for Usage in the Point of Care Testing Analyzer?. Iranian Journal of Pathology, 2011; 6(4): 229-229. Editor, the use of point of care testing (POCT) analyzer is the new hope to solve the problem of limitation of laboratory analysis within the remote clinical setting (1). However, an important concern is on the quality control process of POCT analyzer (1). The problems on the quality control material should be mentioned. The main problems include a) it is not easy to find the specific control material and b) the control material is expensive and might not be affordable for each specific remote setting with limited number of analytical cases. To solve this problem, there is a concept for pooling and using of the existed control material from standard reference medical laboratory. Here, the author tries to study this idea by comparison of using standard control materials for standard clinical chemistry analyzer (Randox) in the situation of POCT analyzer (SpotChem D concept). Two levels of controls (36 repeats for each level) were studied for 12 laboratory investigation parameters (glucose, BUN, creatinine, total cholesterol, triglyceride, HDL, total protein, albumin, ALP, AST and ALT). All analyses were performed at the same time on the same condition by the same practitioner. Of interest, the result shows that the determined levels of 10 laboratory investigation parameters are within the references level of standard clinical chemistry analyzer. Focusing on the two parameters that are not acceptable; i.e. BUN and creatinine, it appears that the reference analytical methods are not the same for the standard clinical chemistry analyzer in the situation of POCT analyzer. Hence, it can assume that the control material can be shared in case that the analytical method is same. The author would like to thank Khun Maleerat who help performed the comparative study. Lewis SM. Laboratory practice at the periphery in developing countries. Int J Hematol. 2002;76 Suppl 1:294-8.